Time to round up of some of my favourite outfits from bloggers this month. Margie from Margie Plus is just slaying it in this 80s inspired outfit. I feel like she should be singing along to salt and pepper but hello look at those pins! Making a simple outfit look very cool I am digging this urban look,. A little closer to home is the beautiful Callie of From The Corners Of The Curve . This lady always looks amazing and is one of my go to favourite Plus bloggers. This is the best I have seen this skirt styled yet! Have you seen any outfit inspirations this month? I completely fell for that Garner Style outfit this month too - it's simply flawless! 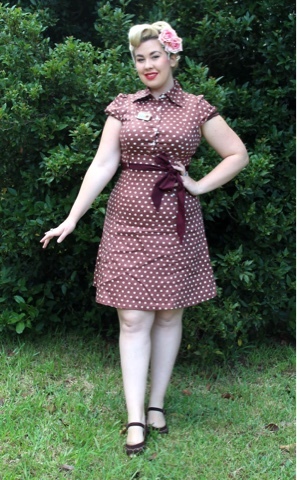 I adore the Curve Creation Closet post, so cute! YAY! I haven't discovered some of these babes yet, so thank you for posting! You have wicked taste, I'll be checking these out as some are new to me!